Discussion in 'Android News' started by Malvado, Sep 20, 2011. 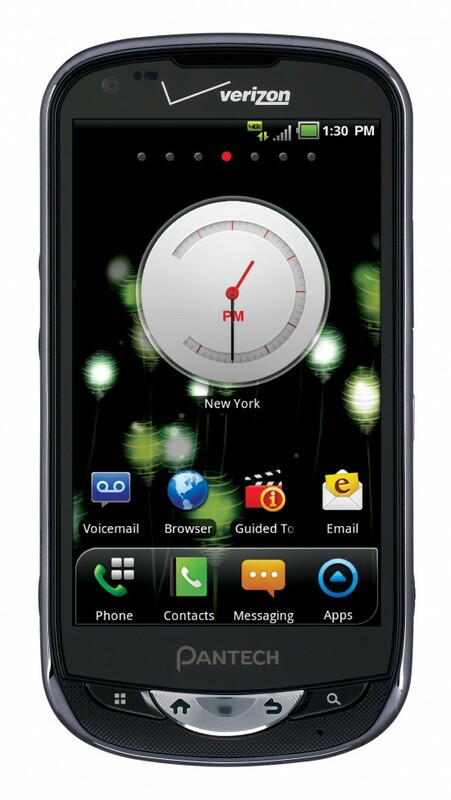 Ready for Verizon’s first 4G LTE phone that costs less than $250? They’ve officially taken the wraps off of the Pantech Breakout we’ve been hearing so much about. Just as rumors suggested, this will be an affordable 4G phone coming in at $100 for those who don’t want to spend upwards of $250 for a phone with 4G LTE connectivity. We’re not exactly sure how they were able to drive the price down on this one compared to similar offerings in the LG Revolution Samsung DROID Charge and the HTC Thunderbolt It boasts similar specs to those devices with its 1GHz single-core processor, 4 inch WVGA display, 5 megapixel HD camera and more. Doesn’t look bad at all on paper, but the verdict is still out on the phone itself. Read ahead for full press details. BASKING RIDGE, NJ, and HAUPPAUGE, NY -- Verizon Wireless and Pantech today announced the Pantech Breakout™ will be exclusively available in Verizon Wireless Communications Stores and online at Cell Phones - Smartphones: Cell Phone Service, Accessories - Verizon Wireless beginning Sept. 22. The Pantech Breakout will be available on Sept. 22 in Verizon Wireless Communication Stores and online at Cell Phones - Smartphones: Cell Phone Service, Accessories - Verizon Wireless for $99.99 after a $50 mail in rebate with a new two-year customer agreement. Customers will receive the rebate in the form of a debit card; upon receipt, customers may use the card as cash anywhere debit cards are accepted. For more information on Verizon Wireless products and services, visit a Verizon Wireless Communications Store, call 1-800-2 JOIN IN or go to Cell Phones - Smartphones: Cell Phone Service, Accessories - Verizon Wireless. Verizon Wireless operates the nation’s fastest, most advanced 4G network and largest, most reliable 3G network. The company serves 106.3 million total wireless connections, including 89.7 million retail customers. Headquartered in Basking Ridge, N.J., with 83,000 employees nationwide, Verizon Wireless is a joint venture of Verizon Communications (NYSE, NASDAQ: VZ) and Vodafone (LSE, NASDAQ: VOD). For more information, visit Cell Phones - Smartphones: Cell Phone Service, Accessories - Verizon Wireless. To preview and request broadcast-quality video footage and high-resolution stills of Verizon Wireless operations, log on to the Verizon Wireless Multimedia Library at www.verizonwireless.com/multimedia. Pantech Co., Ltd., is one of Korea’s top three mobile handset makers. Pantech has received wide-ranging industry recognition for its innovative handset designs, and has also introduced a significant number of breakthrough technologies in the mobile phone industry. Established in 1991, Pantech collectively has approximately 3,000 employees and 6 regional sales offices worldwide. For more information on Pantech, please visit Pantech USA. Well it looks very great though. As long its cdma I'll get this for my motha. Well for starters, I am sure the fact that it is Pantech is why it its so cheap. This its just like tablets. Asus makes a tablet that is comparible to the Xoom or Galaxy but is about half the price. But the bottom line is, you get what you pay for. what about the battery ? that seems to be the biggest issue for these 4G phones.